BizSugar Blog » Win A Nexus 7 in BizSugar’s Sweetest Member Contest! 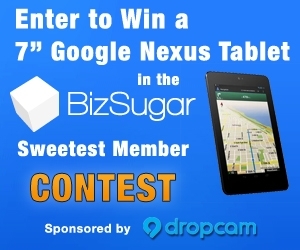 Win A Nexus 7 in BizSugar’s Sweetest Member Contest! 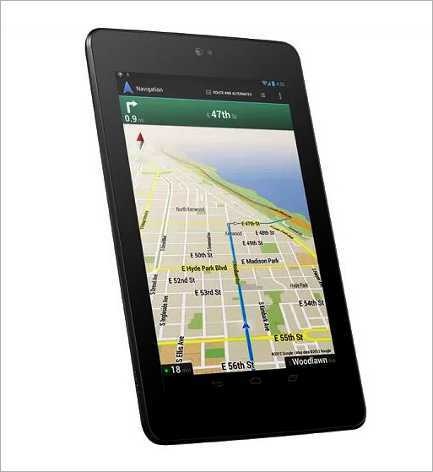 The Nexus 7 (2012 edition) is a thin, light and portable device. It is 32 GB with Wifi and allows you to stay mobile and yet connected with your business. Join: If you haven’t done so already, create a free BizSugar account. It’s simple and takes only a few minutes! Vote: Vote for your favorite small business content on BizSugar. This is a great way to let other members know what interests you and share what might interest them as well. Comment: Make lots of thoughtful and interesting comments on the content you find the most compelling. And don’t forget to respond to others’ comments on your content too. Submit Content: It can be from your own or from someone else’s website. (Or a combination of the two.) To get a better idea of the kind of content our community prefers, check out our guidelines. Make sure the content you’re sharing meets them. The most active member with the highest combined number of comments, submissions and votes at the end of two weeks gets the Nexus 7. May the sweetest member win! By the way, congratulations to member Daniel Zeevi. Daniel became the BizSugar Sweetest Member last week when he was judged the most active on the BizSugar community. Daniel will receive a high definition WiFi video camera with remote viewing and two way sound for installation in the business or home. The camera is supplied by our sponsor Dropcam. What: BizSugar Sweetest Member Contest. When: Monday July 29 through Friday August 9 at 11:59 Pacific Standard Time. Who: Active BizSugar community members are welcome to compete. Prize: Once again, the winner receives a free Nexus 7 (2012 edition), a $249 value. Contest results will be announced the week of August 12. Best of luck to all our members! ← Win a Dropcam in BizSugar’s Sweetest Member Contest!